Lamborghini will fit its next junior supercar with a V10 engine—as Gallardo intended. Rejoice, everyone! The Lamborghini V10 is here to stay! In an interview with , Lamborghini chief technical officer Maurizio Reggiani let spill his company's intentions for the future of its junior supercar—and he's absolutely determined to keep the V10 engine around for as long as possible. “When we made the Gallardo with the first V10, people thought we were crazy because of packaging, the weight, the cost, everything. And it was a storming success.” Why change, right? 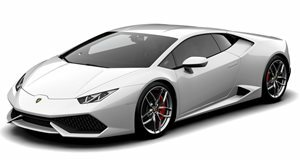 As automakers—even those specializing in supercars—begin downsizing their engines and giving them some help with turbochargers at the behest of government regulations, Lamborghini has its own plan. “My question is, why do I need to do something different?” Reggiani asked. “If I trust in the naturally aspirated engine, why do I need to downgrade my powertrain to a V8 or V6?” Reggiani then answered his own question in the most Lamborghini way he possibly could: “I am Lamborghini, I am the top of the pinnacle of the super sports car. I want to stay where I am.” That doesn't mean the V10 won't get some assistance at some point in the future. 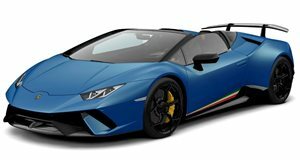 In response to questions regarding regulations and how electrification might help Lamborghini with them if they don't get turbocharged, Reggiani explained: “Afterward, I need some support [to meet regulatory demands], but the emotion is sound, and the reaction you have in a 10-cylinder engine you cannot have from any other kind. This is what our customers love.” Aside from the V10, Reggiani also opened up about drivetrains and the future of rear-wheel drive at Lamborghini. He said that it's staying, too, and it will never be an all-wheel drive system that decouples the front axle.